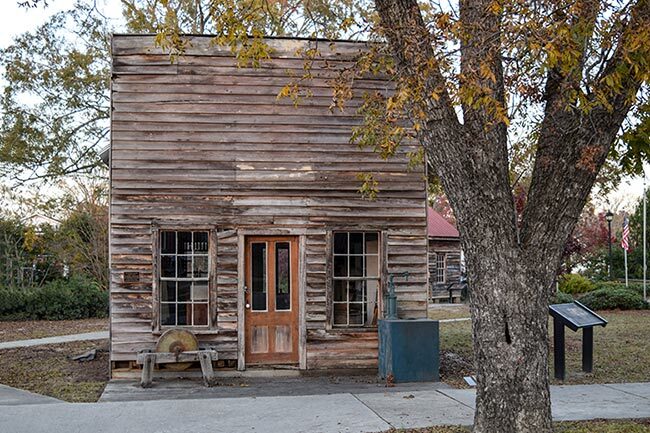 This old post office in Latta is also called Bethea Store. 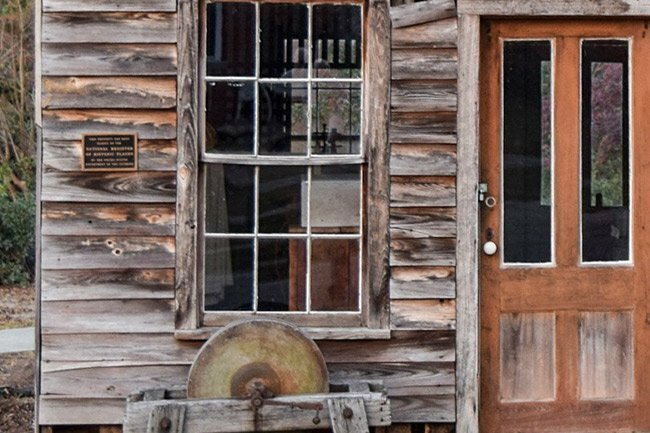 Like many rural general stores, it once served both purposes. Typically the Post Master owned the store and kept mailboxes behind the counter for local residents. Latta’s post office was established in 1888, and the store that eventually housed it (shown here) was built in 1900. Post Master Robert Bethea was a local African-American merchant appointed to the postion by President Grover Cleveland in 1890. 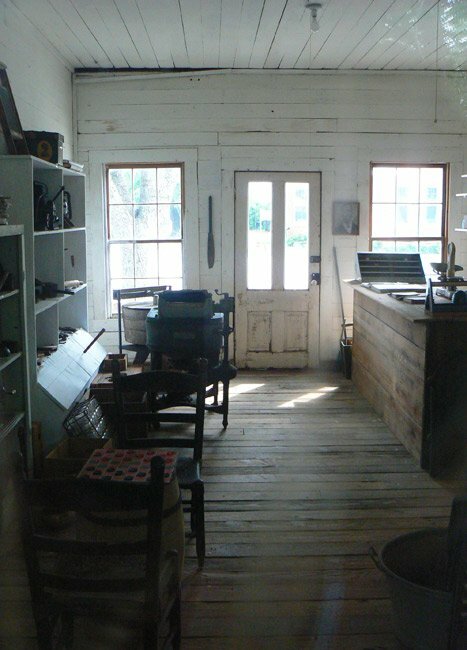 He began operating mail services from his general store once it was built ten years later. Today the building sits in a park downtown, along with the Old Vidalia Academy, another historic building. 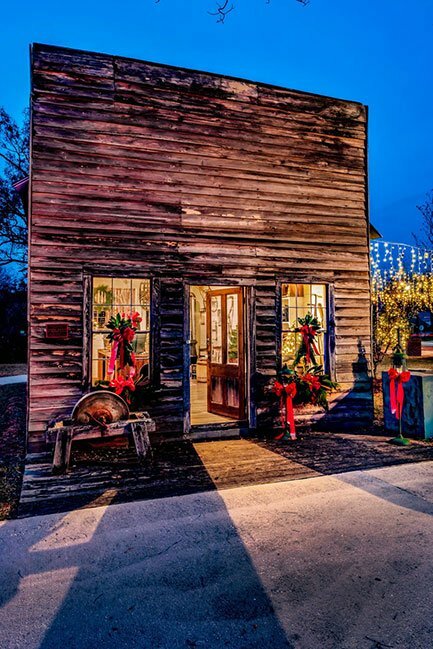 Latta Historic District #1 consists of approximately fifty-five properties which define and contribute to the character of the historic district. All of the properties were constructed between ca. 1890 and ca. 1930. The district is primarily residential, mostly one- to two-story frame residences with late Victorian era details. The district contains several fine local interpretations of late Victorian era construction styles. In addition, the district has examples of local usage of neo-classical details and more sophisticated examples of the Neo-Classical style. Early twentieth century bungalows illustrate the development of the area during the early century. The district also contains the Latta Public Library, the Latta Methodist Church, the Latta Baptist Church, and a few commercial buildings, most notably the Fairey Agency and Dr. L.H. Edwards dentist office. The library, the first in the county, is a town landmark and is architecturally important to the town as the work of Wilson and Sompayrac, Architects, of Columbia. Listed in the National Register May 17, 1984.